The sprawling sugar plantations that once comprised a significant amount of agricultural production in the state of Texas are also responsible for giving Sugar Land its evocative name. Sugar Land, Texas, was incorporated in 1959 and is one of the fastest growing communities in the Houston metropolitan area. Employment opportunities abound in this area and property values are generally high in Sugar Land and the surrounding area. For homeowners, however, one of the highest priorities during the hot and humid summer months is a working air conditioner and comfortable indoor temperatures. At All Out A/C & Heating, we provide prompt service and added peace of mind for residents of Sugar Land when air conditioning breakdowns occur. 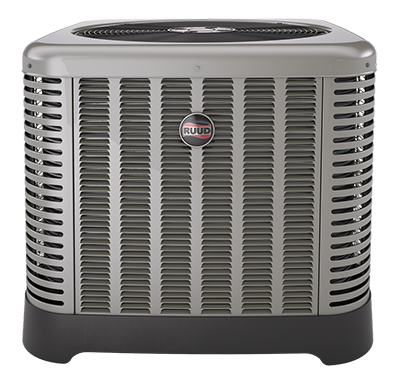 All Out A/C & Heating has been named an authorized dealer for new Trane and Ruud systems and offers 100 percent financing to qualified borrowers in our area. Our Sugar Land air conditioning repair technicians are certified and can provide expert service and repairs for all makes and models of HVAC equipment. We have deep roots in the Sugar Land and Houston areas and have spent over 25 years serving the repair and replacement needs of local residents. 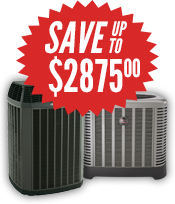 At All Out A/C & Heating, our focus is on delivering the best and most cost-effective solutions for your climate control needs. We have the in-depth knowledge and experience you need to resolve your Sugar Land HVAC repair issues quickly and effectively. At All Out A/C & Heating, we live up to our name and go all out to ensure your comfort throughout the worst of the summer heat. 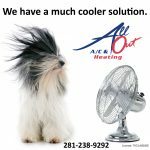 All Out A/C & Heating offers a full range of HVAC repair, maintenance and replacement services for residents of Sugar Land and the Houston metropolitan area. We stand behind our work and provide you with the most cost-effective solutions for all your air conditioning repair needs. When your cooling system breaks down, we deliver fast service to restore livable temperatures even during the steamy days of summer. Give us a call today at 281-238-9292 to discover the best in HVAC repair for your Sugar Land home.